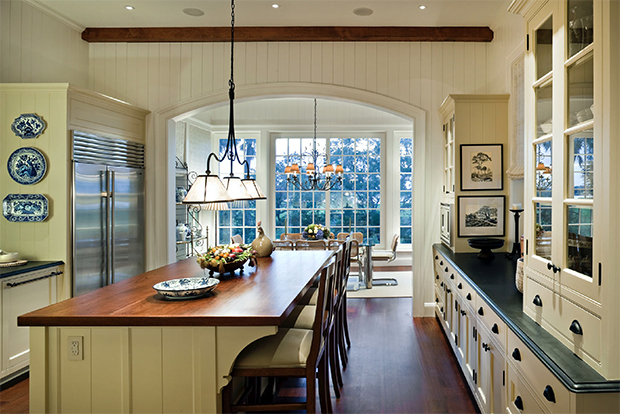 (ABOVE) Designed by Mark P. Finlay, Architects, this home features 6,200 square feet of living space. I’ve been traveling to the islands off South Carolina often during the last few years–through some form of the internet, that is. 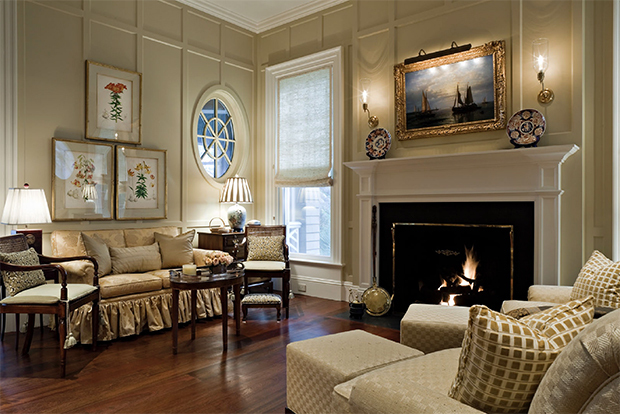 From the easy comfort of our family room sofa, I endlessly explore the varied landscape and its southern colonial-style homes. 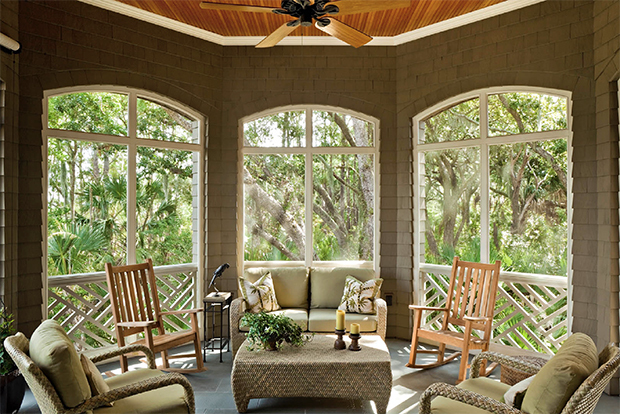 I love classic gardens and interiors, and wild southern beaches and forests. I was lucky to find this house, and the architect behind it, on Instagram earlier this month. 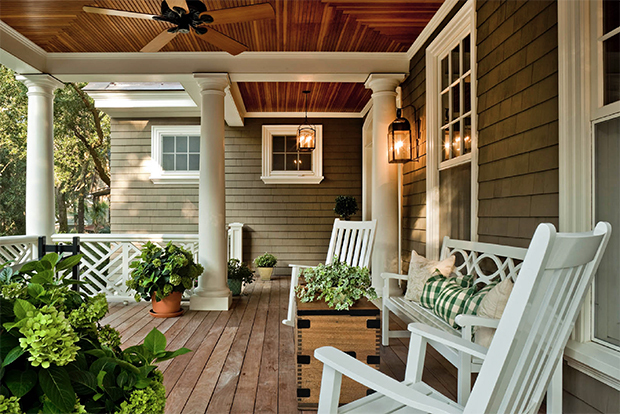 Looking at the photographs, can’t you just imagine yourself on the porch, glass of wine (or something yummy) in hand, watching the sun set over the marsh? According to the architect, Mark P. Finlay, the house was built in 2006, has three bedrooms and five baths, and belongs to a family in St. Louis, Missouri. 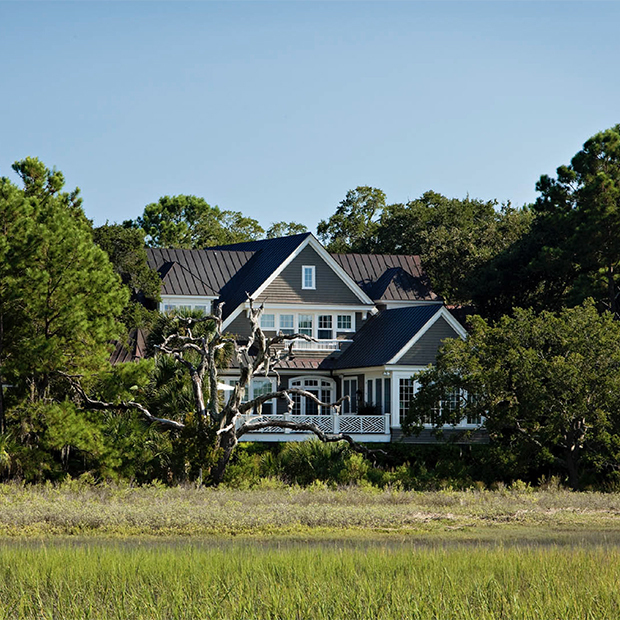 It is designed in the contemporary shingle-style, commonly used on the island, and is arranged around a central corridor that runs from the entry to the rear. The house is a treasure trove of classic details. 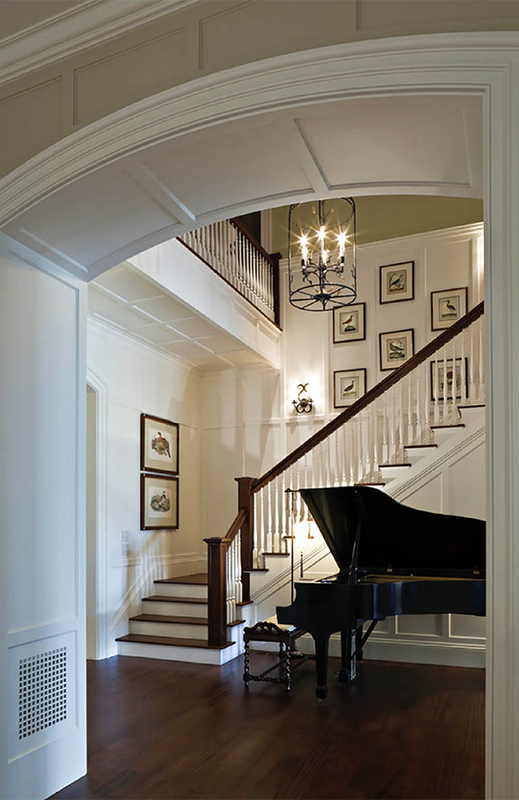 From the paneled walls in the foyer and living room to the coffered ceiling in the dining room, and the arched and transomed doorways. 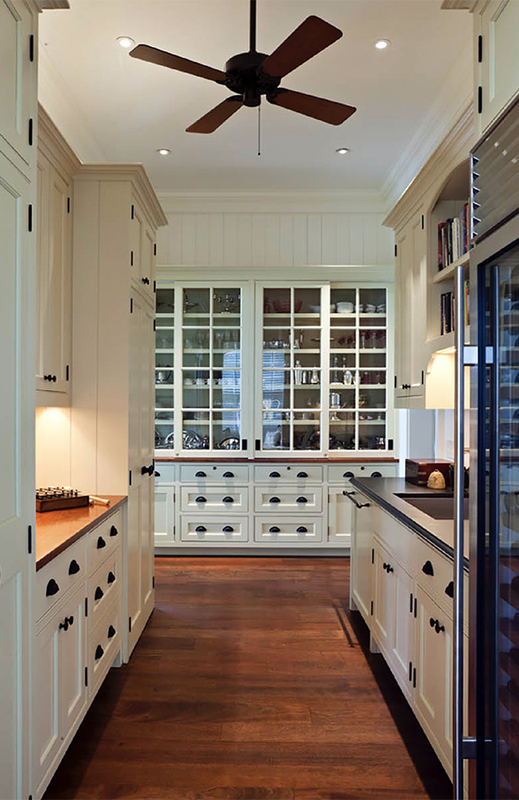 All are painted white, and create such a clean, crisp look when set against the Brazilian cherry floors. 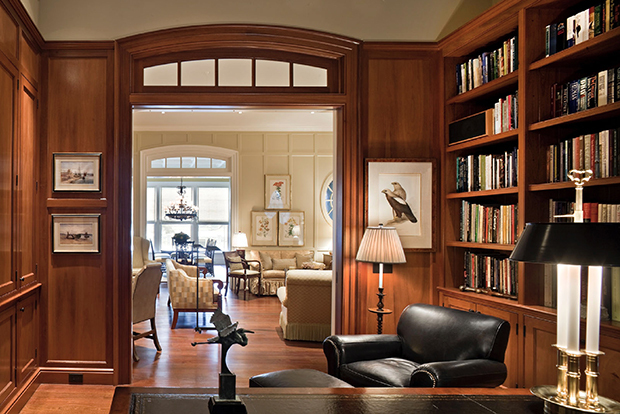 It’s a perfect backdrop for the understated antique Southern furnishings and Audubon prints. From what I can tell, all goals were met and, happily, then some. All photographs via Mark P. Finlay, Architects. Photography by Steven Brooke. What a lovely home! 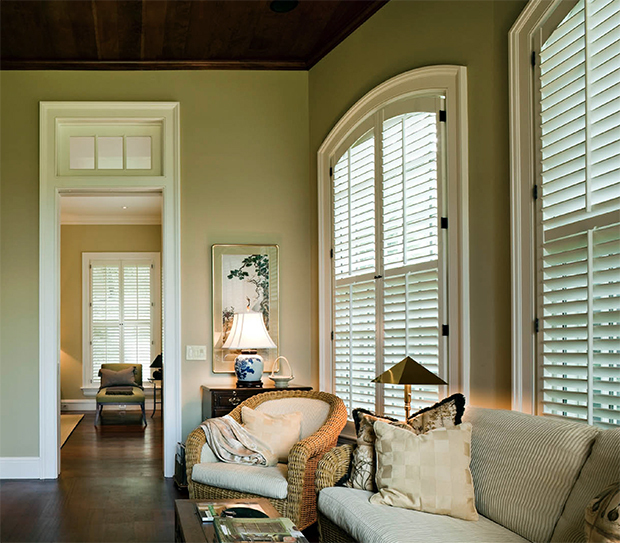 The woodwork & furnishings are beautiful. So enjoy botanical artwork..so classic. Great choice of garage doors too. Would love to spend a week there..just need a pet sitter ! Smiles! İt looks very friendly isnt it? friendly and comfortable but classic.Botanical garden view magnificent ♡ it’s my favorite. I never get up from there 🙂 we should drink tea there isn’t it? Upload more houses like this please,these blog posts amazing from you.